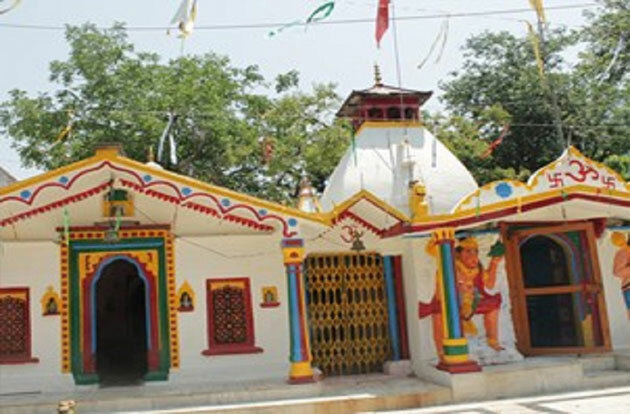 In a village called Jasoli in Uttarakhand lies a popular temple dedicated to a “Devi” called Maa Hariyali Devi. This Hindu shrine is located in the Rudraprayag district. The “Devi” worshiped at this temple is known as “Maa Hariyali” and is also commonly referred to as either as Bala Devi or Vaishno Devi. In addition, this temple springs to life during festivals such as Janmashtami, Navratri, and Diwali. Furthermore, this temple also consists of a Maa Hariyali Devi idol that comprises of jewels and can be seen sitting on a lion. There is one route from Haridwar to this temple, and it is via NH7. There are two routes from Rishikesh to this temple, and it is via NH7 and via NH34. There are three routes from Gurugram to this temple, and they are via NH334 and NH7, via NH7, and via NH9. According to a popular Hindu folklore as soon as the seventh child of Devaki was born, her evil brother Kansa killed it by throwing it on the ground. This resulted in the body parts of the child being scattered throughout all around the earth, with one part i.e. the hand eventually falling at the site at which this popular temple was built. Additionally, Kansa killed his own sister’s child purely due to the fact that he was warned that the 8th child of Devaki would annihilate him which eventually turned out to be Lord Krishna.